Silber - Joelle Delbourgo Associates, Inc.
Alexandra Silber is an actress, Grammy-nominated singer, and writer. 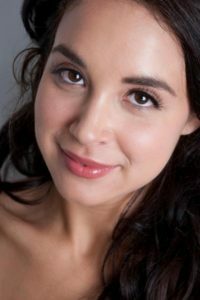 She recently starred as Guenevere in the Shakespeare Theatre Company production of Camelot, and as Tzeitel in the Broadway revival of Fiddler on the Roof. She earlier played Hodel in a revival of the same show in London’s West End. It was those two roles which inspired her to write After Anatevka.Other Broadway and West End credits include Master Class, Arlington (Outer Critics Circle nomination), Hello Again (Drama League nomination), and She Loves Me, Kiss Me, Kate, The Woman in White, and Carousel. She has appeared on all three incarnations of Law & Order and has performed in a variety of outlets ranging from the 57th Grammy Awards to Carnegie Hall. 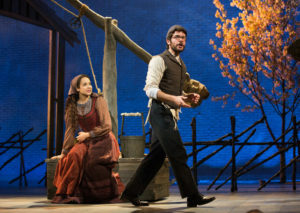 Alexandra is also a 2014 Grammy nominee for her portrayal of Maria in the first-ever full symphonic recording of West Side Story, with the San Francisco Symphony.She lives in New York, and After Anatevka , a novel inspired by Fiddler on the Roof was her first book (2017), with a paperback edition publishing in July 2018. Her memoir White Hot Grief Parade releases in July 2018. Both books are published by Pegasus Books.